For years I have played music in a few different projects in Virginia. Sometimes the music I made shows up in our videos and I thought I'd make a page linking to some of the songs in case anyone wanted to hear them. I can sorta fumble my way across guitar, drums and bass, but I'm by no means great at any of them. I'd like to learn piano someday. I haven't played music with a band since we moved to Japan and it's probably the only thing I miss about Virginia. NOTE: The amazing song we use as intro music in our videos is not listed here. If you're looking for that check out this video. Atomic Raygun Attack was my most "real" band. 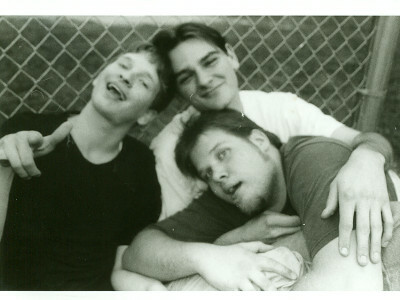 We played from 2003 until 2009 and released two full length records and a concept-EP about a Futurama episode. We had a really fun group of people that would come to our shows (Kyde was in that group!) and it made the practices, recordings and shows a really good time. I played bass for the most part. If you'd like to download any of our music it's all free on our website. I'd suggest the album "The Friendship" or if you are a Futurama fan check out "The Sting". Otherwise check out the two songs below. 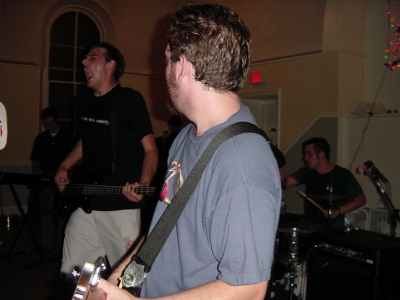 Kamikaze Escape Plan was a pop punk band I briefly played bass in during the summer of 2001. We recorded at a cool studio called Inner Ear Studios in Northern Virgina and it was a really neat experience. All the songs we tracked are below but if you want to download them in a zip click here. The Jeff Mullins band was somewhat of a joke band from 2000-2001. 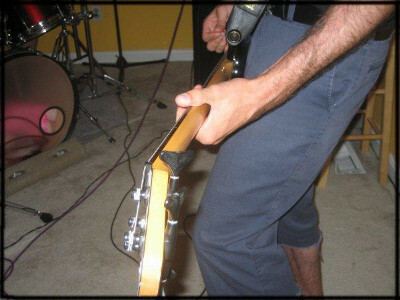 It was also my first time recording a band at my home which shows. We released one album (17 minutes long!) and played a ton of shows before the band dissolved and eventually reappeared as Atomic Raygun Attack. I was the drummer for JMB despite not knowing how to play drums at the time. There are a couple of tracks below but if you'd like the entire album it's zipped right here. This isn't really a band but more a collection of little songs I recorded on my own that never evolved into Atomic Raygun Attack songs for whatever reason. Usually I was recording these to experiment with the recording process more than to actually make music. I played everything on each one. Songs were titled at total random. This is a bonus song I recorded with KEP's guitarist. I played drums.